We are embarking this week on a countdown to our trip to Amsterdam for my - ahem! - 50th birthday. Only three more days in the stuffy confines of the office, and one day to pack bits and pieces, and we're off! 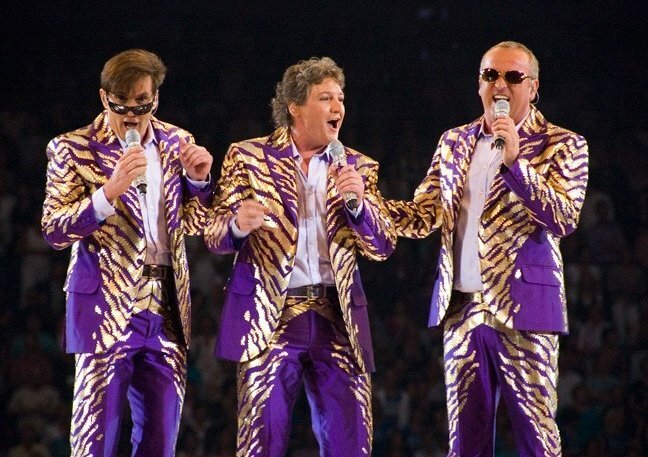 So, on this Tacky Music Monday, let us get things started with the tackiest-of-all-tackiness - who else but Holland's finest superstar homosexuals De Toppers, and their inimitable version of It's Raining Men!? Ah, the Netherlands. The endless selection of the tacky music the Dutch have released through the years is enough to make me want to go an visit (mostly for records shopping, of course).